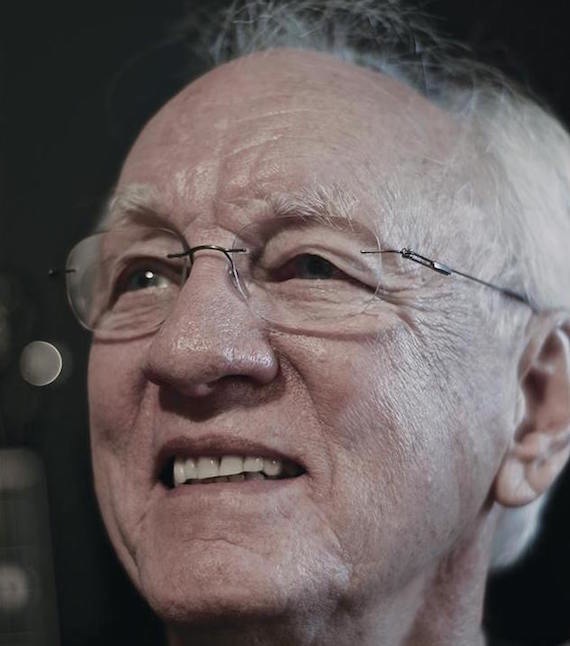 Gospel Music Hall of Fame member Ben Speer died in Nashville on April 7 at age 86. He was a mainstay of the legendary Speer Family, the music director of the popular Gaither Homecoming video series, a prominent gospel music publisher, a co-worker with both Elvis Presley and Hank Williams, a recording studio owner and a record-label executive. The Speer Family was known as “the first family of gospel music” due to its astonishingly long career and its many breakthroughs and innovations. The group was formed in 1921 by Ben’s parents George Thomas “Dad” Speer (1891-1966) and Lena Brock “Mom” Speer (1899-1967) along with Dad’s sister Pearl and brother-in- law Logan Claborn. At the time, white gospel acts in the South were almost always exclusively male. The Speers made history by featuring female singing. Indeed, Lena and Pearl were the powerful, dominant voices in the group. When the Claborns dropped out in 1925, the founders’ oldest son Brock Speer (1920-1977) and daughter Rosa Neil (b. 1922) were recruited to join the act at the ages of five and three, respectively. During the 1930s, daughter Mary Tom Speer (1925-2014) was added to the group. Ben Speer, born in 1930, was the youngest child. He was singing with the family by the end of the decade. In 1941, The Speer Family became popular on WSFA radio in Montgomery, Alabama. Their morning gospel program was followed by one performed by newcomer Hank Williams. Ben and his family were scandalized when Hank arrived for his show after all-night carousing in honky-tonks. The Speers moved to Nashville in 1946, just in time for the post-war explosion in popularity of Southern-gospel music. That same year, the family’s youngest member formed The Ben Speer Music Company at age 16. Ben’s firm was the first to publish Southern-gospel music in sheet-music form. The Speer Family began recording in 1947. During the next 50 years, the group recorded for such labels as Bullet, Columbia, RCA Victor, Starday, Benson, Sing, Heart Warming, Skylite, Vista, Riversong and Homeland. More than 75 Speer Family albums have been marketed. In 1948, Rosa Nell left the group for marriage and motherhood. Brock Speer’s wife Faye replaced her. Nashville’s WSIX radio featured The Speer Family on weekly weekend gospel shows for eight years in the 1950s. In 1954, the group became a gospel pioneer on television. For the next six years, it was familiar to a generation of Nashvillians as a fixture of daily, early-morning local TV on Channel 5. This was the first gospel daily TV show in history. Due to her marriage and a desire to start a family, sister Mary Tom departed around 1954. Ben, Brock and Faye pressed on with Mom and Dad. Both Mary Tom and her “retired” sister Rosa Neil occasionally returned to sing with the family and/or worked in the Speer business office on Music Row. Next, The Speer Family became national TV personalities as regulars on the syndicated Singing Time in Dixie weekly show beginning in 1964. After Dad and Mom passed away, Ben and Brock became the leaders of The Speer Family. They took it to new heights, and Ben became the act’s lead singer. The brothers adopted a series of Speer “sisters,” several of whom went on to have successful solo gospel careers. Ben Speer’s sons Stephen and Darin, and Brock’s children Suzan, Marc and Brian all became Speer Family participants as well. Beginning in 1967, the Speers became regulars on the syndicated TV series “Gospel Singing Caravan” and were signed by gospel’s most prominent record companies. The exposure magnified the group’s popularity enormously. The group’s 1977 hit “I’m Standing on the Solid Rock” — published by Ben Speer — reportedly holds the record as the longest-lasting No. 1 song on the gospel charts. Its 1984 hit “City Coming Down” made history as gospel’s first concept music video. During the 1970s and 1980s, when Ben and Brock were guiding The Speers, they won 14 Dove Awards from the Gospel Music Association and were nominated for seven Grammy Awards. Ben Speer retired from the group in 1993, but continued to be a prominent figure in the gospel-music business. He became the general manager of the Stamps-Baxter School of Music and opened his Ben Speer Recording Studio. As music director of the Bill Gaither Homecoming gospel video series, Ben endeared himself to dozens of veterans of that genre who sang on the shows. Brother Brock Speer finally folded The Speer Family in 1998, after its unprecedented, unparalleled and unsurpassed 77-year career. The durable group had gone from traveling via horse-and- buggy to Model T Ford to customized tour bus. The Speer Family was inducted into the Gospel Music Hall of Fame in 1998, following the individual inductions of Dad (1971), Mom (1972), Brock (1975) and Ben (1995). Ben Speer is also a member of the Southern Gospel Music Hall of Fame and the Alabama Music Hall of Fame. The gospel-music legend is survived by sister Rosa Neil Speer Powell, by wife Rebekah Long Speer, by sons Stephen and Darin and by several grandchildren, nieces and nephews. The family will receive friends on Monday, April 10 from 4-7 p.m. at Woodlawn-Roesch- Patton Funeral Home at 660 Thompson Lane. The visitation there on Tuesday (April 11) from 11 a.m. to 1 p.m. will be followed by a Celebration of Life service at The First Church of the Nazarene, 510 Woodland Street. Interment will follow at Woodlawn Memorial Park. Serving as pallbearers are Dave Clark, Gene McDonald, Tim Reid, Mike Allen, Brian Speer, Marc Speer, Tom Powell, Shannon Fontaine and Per Norstrand.